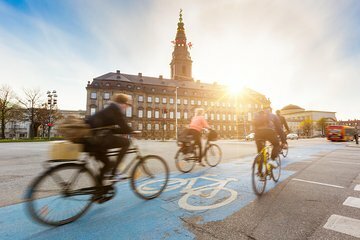 Cycle around Copenhagen, one of the world’s most bike-friendly cities, and have your photo taken by its main sights, on this small-group, 3-hour bike tour. Cruise through the Danish capital’s streets on an electric bike with a photographer guide, and see landmarks such as Tivoli Gardens, candy-colored Nyhavn and the Little Mermaid statue. Along the way, your guide will snap photos of you as take-home mementos, and you’ll gain insight into the city’s history and urban legends.